Hold on to your braaaaaains! This spring, FilmBar and ASU’s Lincoln Center for Applied Ethics are roving the post-apocalyptic wasteland. Admission includes a complimentary small popcorn and $1 off your first drink! “It’s the End of the World as We Know It: Ethics in the Apocalypse” examines all the ways this human experiment could come to an end, from the zombie apocalypse to nuclear winter. Our experts will introduce each film with a quick discussion of how to survive the end times with your humanity intact, preparing you for the most catastrophic of conditions. A group of misguided animal rights activists free a caged chimp infected with the "Rage" virus from a medical research lab. 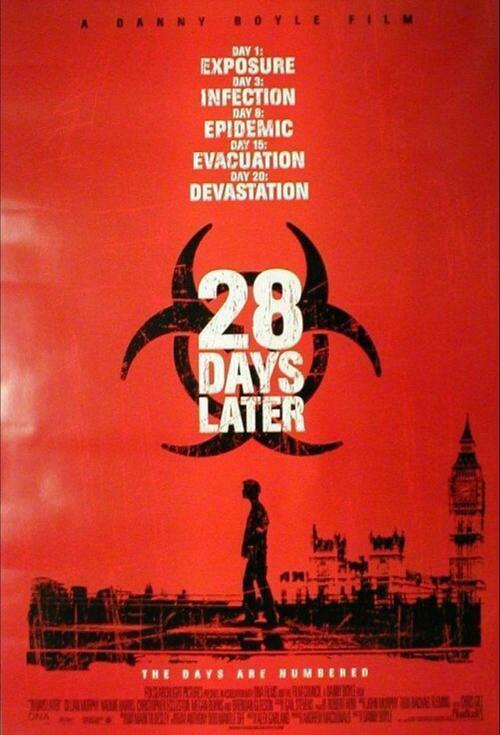 When London bike courier Jim (Cillian Murphy) wakes up from a coma a month after, he finds his city all but deserted. On the run from the zombie-like victims of the Rage, Jim stumbles upon a group of survivors, including Selena (Naomie Harris) and cab driver Frank (Brendan Gleeson), and joins them on a perilous journey to what he hopes will be safety.